Appointment Setting Telemarketing Services | DRS Acquisitions, Inc.
Outbound Appointment setting services get you face-to-face with your prospects! Since the dawn of sales organizations, appointment setting has been the key to generating new business. Many business' invest a large percentage of their marketing budget on this type of service - because it works! Setting up your own in house telemarketing campaign can be expensive and complicated. DRS Acquisitions, Inc. has the Systems and Technology, along with the expertise needed to make your appointment setting program a success. Many sales people hate cold calling, it can require a large portion of a sales person’s time leaving less time available to develop client relationships and close sales. Not only that, high rejection rates can put sales people into a negative down spiral and destroy their motivation resulting in poor results! 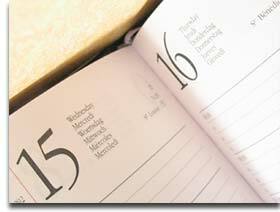 Utilizing our Appointment Setting Services is simply a smart business decision. We understand that marketing dollars are often being stretched to their limits. As a convenience to our appointment setting telemarketing clients we can assist you with list acquisition. We pre-purchase these lists and pass the savings along to you at discounted rates! We work with you to develop script content and to educate our TSR’s (Telemarketing Service Representatives) about your company, your products and your services. We specialize in getting past the “gate-keepers” and contacting key decision makers to introduce your product and/or services to create your sales team a highly qualified appointment. All appointments are digitally recorded to ensure the highest quality possible and are confirmed by DRS Acquisitions the business day prior to your appointment. Results you can count on! It is important that our telemarketing clients know that their appointment setting program is being dialed accurately and professionally. We encourage our clients to listen in on their appointment setting program via Remote Client Monitoring. This can be done from the convenience of your home or office. Furthermore, our call results are reported daily so that you can measure campaign effectiveness, determine return on investment, and direct us to increase or decrease production levels. 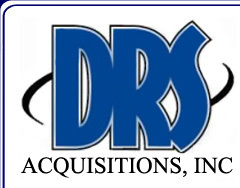 We at DRS Acquisitions, Inc. realize that we are an extension of your business! We strive to make your campaign a success. Start getting in the door and face to face with your prospects! Contact us today to get started on your Outbound Appointment Setting Program!